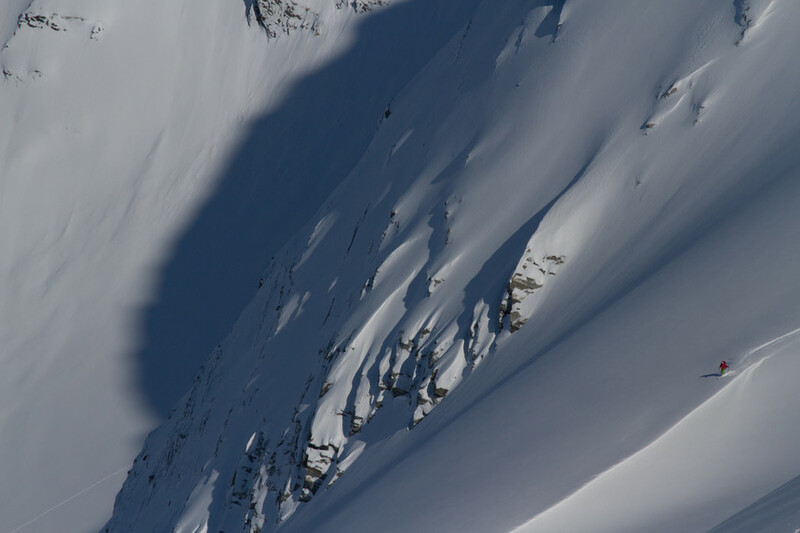 Meghan Kelly cheerfully answered the phone last week, and dove right into a story about getting in some early season turns just a few days earlier. That’s how dedicated she is. 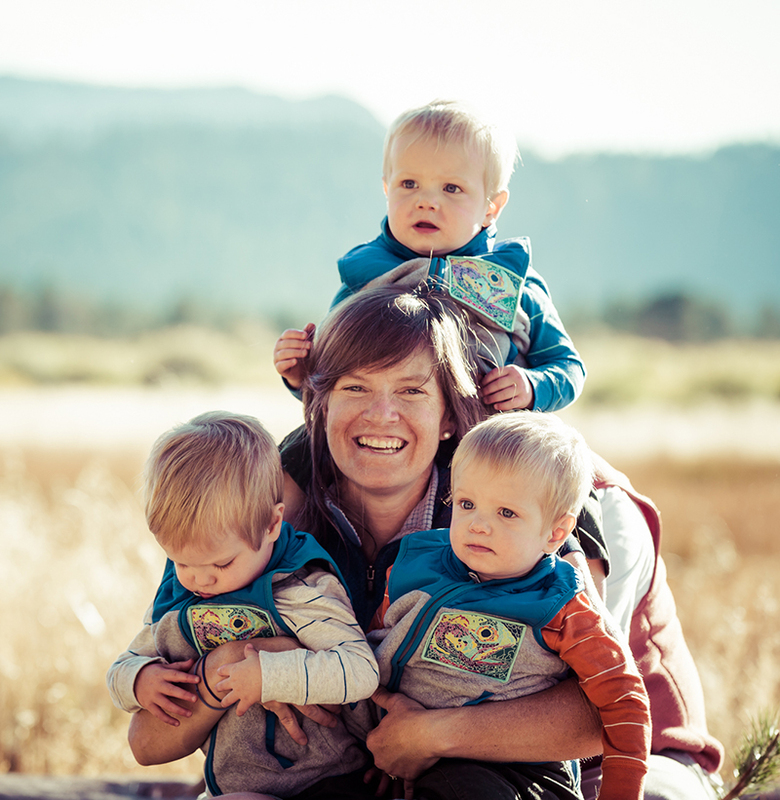 But as a new mother of triplets living in Lake Tahoe, she now has to balance her love for skiing with a full-time engineering job, and her three boys. Despite a more than full plate, Meghan shows no signs of slowing down. She made time to ski Mount Shasta on the summer solstice this year, and even filmed and edited this awesome ski video about her first winter as a mom! Inspiring is an understatement. Here's what she has to say about "doing it all." KM: What has been the hardest part of having triplets (skiing or otherwise)? 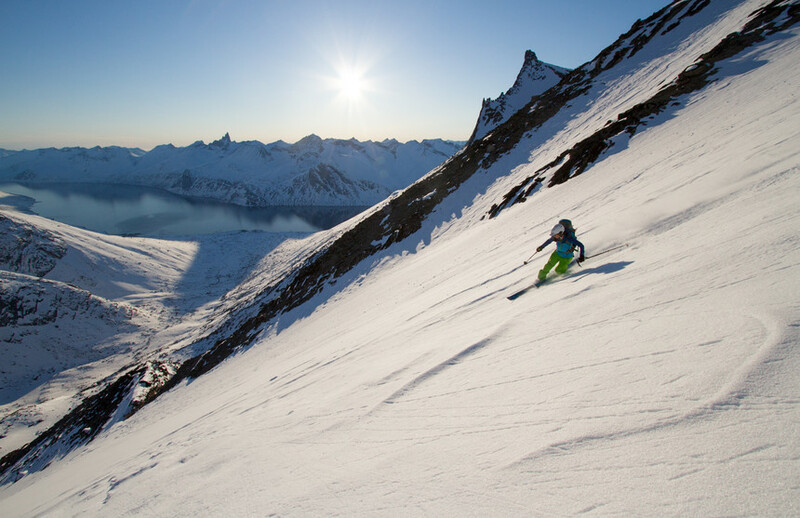 Meghan Kelly tele’s on a remote and thrilling first descent of Uiluit qaqa in South Greenland. Kt Miller photo. MK: The hardest part has just been a total loss of independence. With triplets, I’m outnumbered from the start. I think it’s the same issues that anyone who becomes a parent faces, it’s just multiplied by three. Whenever I want to go somewhere, I pretty much need an entourage. Last year I just wanted to go out skiing by myself because I literally spent an entire year where I was never alone. KM: What are some of your strategies to maintain sanity and still get out skiing? MK: I had to become more of a scheduler. I used to try to not schedule as much and maintain flexibility in order to catch the best ski conditions. Now I schedule in an hour to recreate outside each day. I’ve also modified what I do, and try to stay closer to home to decrease driving time. Sports that take a big chunk of time, like whitewater kayaking, are out for now. I’ve been mostly mountain biking and skiing. Even if conditions are horrible, I have the best time ever. Anytime I can get out I’m grateful. KM: Now that you have kids, are you still doing backflips? 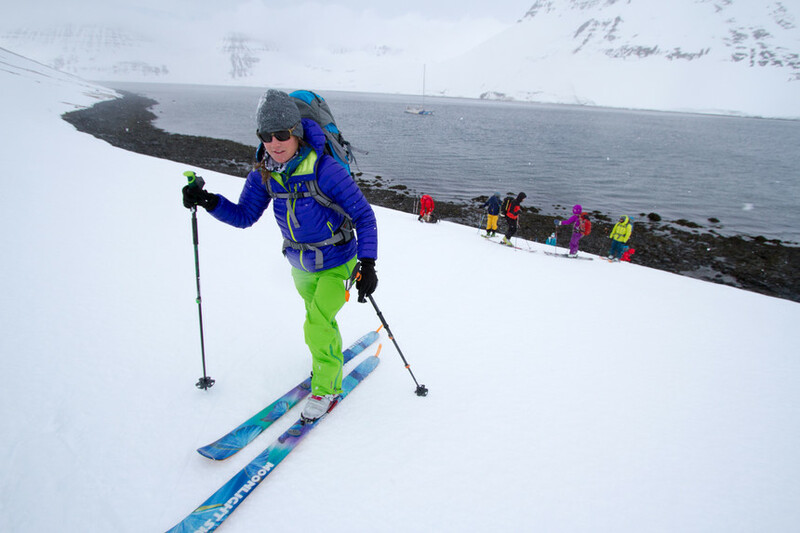 Meghan Kelly skiing in Iceland during the Shifting Ice + Changing Tides expedition. Meghan was the initiator of the expedition, and received the initial grant that made the trip possible. Kt Miller photo. MK: I haven’t done any on skis since I had kids, but I have done some on trampolines and diving boards. I’m hoping I can work up to doing backflips again by the time my kids realize that it’s ‘cool.’ I want to be the kind of skier that can hang with my kids. I don’t want them to be waiting for mom. So, I’m trying to buy myself some time, preserve my body, not totally destroy myself so that I am able to shred around with them. As you can imagine it was a pretty serious pregnancy, I’ve had to make a pretty big comeback. My abs were literally ripped apart. I’m still working on building back my core strength. So, maybe next year. 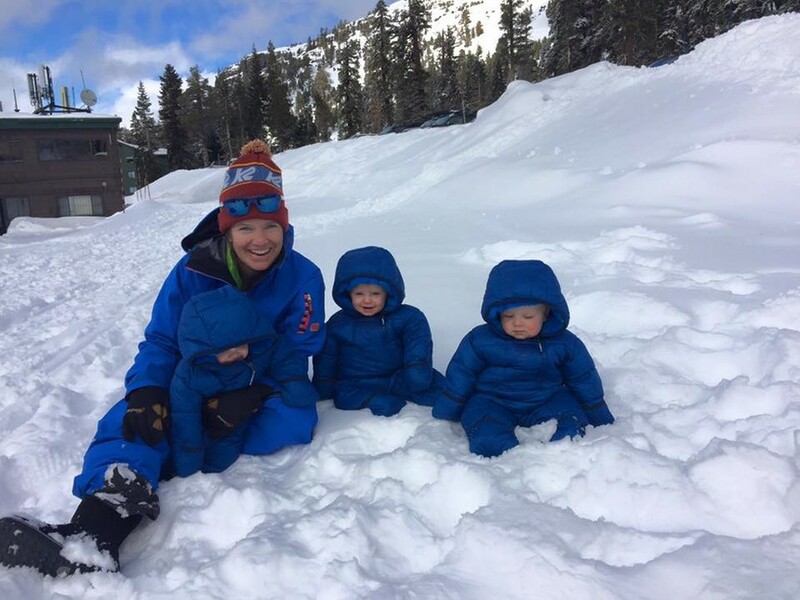 “One of my goals this year is just to get the triplets to love winter.” Meghan Kelly said of the upcoming season. Photo courtesy of Meghan Kelly. MK: This winter my goal is to ski four California 14ers that I haven’t skied in less than a week. I received a grant to do so from Crux Mountain Awards. I’ve only spent one night away from the triplets, so this will be pushing it both mentally and physically. KM: Tele skiers are practically an endangered species (especially women), any plans to switch to AT? MK: I don’t have any plans at the moment. Tele skiing is a big part of my identity, I still love it! KM: Did you get each triplet out skiing last winter? Dropping the knee in perfect powder above Kangerluarsunnguaq Fjord in West Greenland during the Shifting Ice + Changing Tides expedition. Photo by Kt Miller. MK: I did get each triplet out skiing on my back last winter, which was a huge goal of mine. It’s such a process. It took a village to get each one of them out. We also took all of them out skiing on their own equipment at the very end of the season. Everyone’s hands were full! This season hopefully we will get a lot more skiing in. KM: Do you see your life getting more chill? MK: I’m not out of the weeds yet. This coming year could be even crazier. Long-term things will get easier. The triplets are already starting to entertain each other, and one day I’m always going to have three ski partners! I’m really looking forward to that! KM: What advice would you give other skier-moms-to-be? MK: Be grateful for the moment that you are in and remember that it’s a super short, unique part of your life. It sounds cliché, but time passes so fast! There were days I had to miss skiing, but that’s not going to happen forever, it’s just a few seasons. A lot of other people never get to have the special experiences you will share with your kids. So, treasure it, because it’s not going to last forever.